The TERA study follows several other recent studies in developing a very expansive account of the size of the “creative” or “copyright intensive” industries. Whatever the value of such an approach in other contexts, this method is not appropriate for making recommendations about IP enforcement policy. 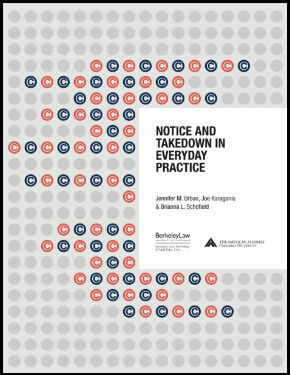 Most of the included industries—including job-heavy “core” copyright industries such as advertising, journalism, performing arts, and diverse information services—have minimal exposure to online infringement and therefore minimal stakes in changes to enforcement policy. The TERA study builds its argument for stronger enforcement on the modest decline in overall creative sector employment since 2008. But when this sector is disaggregated, there is no correspondence between employment changes and exposure to piracy in the key industries. As TERA acknowledges, industries with among the highest exposure to online infringement—such as the audiovisual and software sectors—saw job growth in the period, not decline. Job decline took place almost entirely in sectors with more limited exposure to piracy and more direct challenges associated with the shift to online markets, such as publishing and retail. A look at production-side metrics for the major copyright-related product categories—such as film industry output or book publication—also shows growth in the period. Piracy may negatively affect these industries, but the TERA study does not demonstrate it. As in 2010, the TERA study models only one side of the piracy ledger: the loss to industry, which it equates with permanent destruction of jobs and value in the EU. But industry’s loss is consumers’ gain in the short term and potentially also the long-term gain if the uses of that consumer surplus outweigh the value of additional investment in IP goods (which it may well do with regard to entertainment goods). As in 2010, the TERA study ignores the importance of the direction of trade in IP goods. The EU is an IP exporter overall, including in some “core” copyright fields such as publishing. But for the fields with high exposure to online infringement (audiovisual goods, software, and music) it is a heavy importer, and disproportionately from the US. Under these circumstances, the costs of infringement fall mostly on the US, while EU consumers realize a net welfare gain. 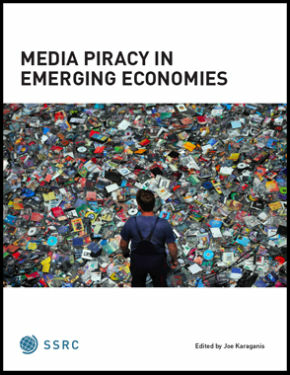 The 2010 TERA report enjoyed a successful run in the press and had visible influence on EC policy discussions, but it also had serious problems that should have made policymakers think twice about using its numbers as a baseline for the economic impact of piracy. The 2014 report adds new complexity to the analysis but doubles down on those claims. For both TERA and EPO-OHIM, the definition of core jobs covers a very broad range of activity. It includes 1.3 million jobs in or around advertising; 986,000 in “news agencies”; 994,000 in “other information services” (for which the main examples are information search and press clipping services); 397,000 in libraries and archives; 350,000 in direct and support roles in the performing arts; 231,000 in the “publication of directories and mailing lists”; 258,000 in computer consultancy, facilities management, and other computer services; 200,000 in ‘wireless telecommunications’ and so on. Both studies also have large supporting or indirect categories, which include “interdependent” businesses involved in the manufacture of computers, paper, musical instruments and other notional inputs to the creative process, and “non-dedicated support” businesses that extend into the wholesale, transport, and retail sectors for all of the activities above. To specify the job contributions of these secondary categories, the authors assign percentages to describe their respective quotients of creative activity. The sale of timber, ships, aircraft, carpets, office furniture, and footwear, for example, is characterized as 7% creative. Whether these jobs are more or less creative or operate in close or distant relationship to copyrightable work is a somewhat arbitrary determination and not very consequential. The real issue—given the purposes of the TERA study—is that very few of these jobs, even among the core industries, have significant exposure to online copyright infringement. Advertising professionals, for example, may be creative, produce copyrighted material, and find their works periodically infringed, but they have no comparable exposure to the kinds of large-scale infringement that drive the enforcement debate. Nor do news or data professionals. Nor do most performing artists or information specialists. The “creative” or “copyright” sector is potentially very large, but the “vulnerable to online infringement” sector is much smaller and concentrated around a subset of retail and advertising business models for music, movies and TV, and software. It is possible, of course, to roughly add up the number of jobs in industries that have higher exposure to online infringement. All of the official categories around “Motion picture, video and television,” including production, post-production, distribution, projection, and broadcasting add up to around 700,000 jobs. “Sound recording and music publishing” accounts for only 37,750 jobs. “Book publishing,” which is not (yet) a sector with large-scale online infringement comparable to music and film, accounts for 317,000 jobs. “Computer programming”—an amalgam of job categories that EUROSTAT credits with 2.6 million EU jobs—is difficult to characterize: it is a large sector and producer of copyrighted work with a great deal of control over its distribution methods. More than in other sectors, exposure to online infringement represents a set of tradeoffs within software business models, bring both costs and benefits to producers. TERA’s 2014 study “confirms” its earlier predictions of job losses and value destruction due to piracy. It does so by comparing the modest decline in jobs across the core creative industries between 2008 and 2011 to counterfactual estimates of potential job growth, based on two possible benchmarks: the performance of the economy overall (which experienced a slight decline in employment) and the performance of the service sector (which experienced moderate growth). These scenarios lead to wildly divergent estimates of between 64,089 and 955,125 jobs lost in the 2008-2011 period. Although TERA periodically hedges its language in the report, it attributes this underperformance entirely to piracy (pg. 45). But “the creative industries” is a poor unit of analysis for understanding change in this sector. Disaggregating employment data among the major component industries suggests variable outcomes with no clear relationship to exposure to piracy. Industries with high exposure to infringement—the audiovisual and software sectors—saw job growth, not decline, since 2008. According to the EU Labor Force Survey, employment in the audiovisual sector grew from around 720,000 jobs in 2008 to around 760,000 jobs in 2011—roughly 6%. The grab bag of “computer programming, consultancy, and related activities” grew 6.7%. The overall “publishing” sector, in contrast, which Eurostat credits with 900,000 jobs, declined 9%. We will not attempt a full analysis except to note that this methodology clearly requires one. In 2013, EPO-OHIM was more circumspect: “The results of this study do not allow for identifying causal relationships between IP and economic variables” (pg.18). Finally, we would note that other studies have tried to model the “health” of the creative sector by looking at the production levels of key goods, such as books, music, movies, games. These, too, show a largely positive picture. 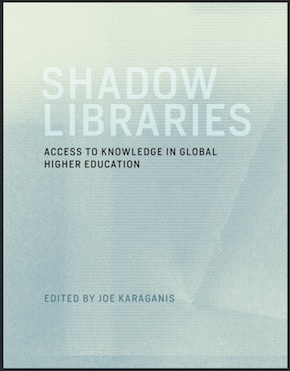 As in the 2010 report, the new TERA study ignores two issues that should underlie any estimate of copyright infringement’s economic impact in Europe: (1) the two-sidedness of the ledger, where every ‘cost’ has a corresponding ‘benefit’; and (2) the direction of international trade in the vulnerable sectors. Within the EU, online infringement can impose losses on specific industrial sectors, but these are not thereby losses to larger national or regional economies. Within any given region, such copying is a reallocation of income, not a loss of it. Money saved on CDs or DVDs will be spent on other things—housing, food, other entertainment, etc. There is then a legitimate (and analytically complex) question about whether these alternative uses represent more or less productive uses of money in comparison to additional revenues for the affected industries. There has been, to the best of our knowledge, no serious analysis of this issue. It is quite possible that alternative uses of the consumer surplus are more productive, socially valuable, and job creating than—for example—additional investment in entertainment goods. TERA’s job loss numbers assume that losses from infringement fall solely on European companies. For the most-affected industries—movies, music, and software—this is manifestly not the case. For audiovisual products, EU imports exceed external (non-EU) exports by a ratio of around 3-1 overall and over 4-1 with the US, with which it runs an annual trade deficit in the mid billions of Euros (€ 4.4 billion in 2010). The balance of trade in infringed goods is likely to be even more tilted due to the dominance of Hollywood films and US television programs. A brief snapshot of the top 100 pirated films in July 2011 found only 3 EU productions, with another 14 joint EU-US co-productions. 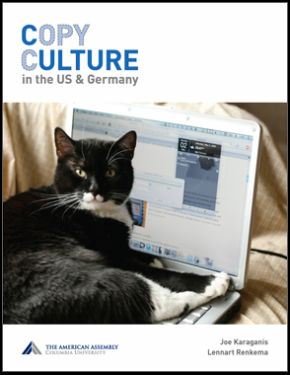 US positions in most software markets are similarly dominant. The global footprint of many of these companies makes the breakdown of revenue streams difficult, but the general principle is simple: for IP imports, legal sales represent an outflow of revenue from the national (or regional) economy. “Piracy,” in contrast, represents an at least nominal welfare gain, in the form of increased access to a valuable good. Looked at from this perspective, a Dutch government-sponsored study estimated the net impact of music file sharing in the Netherlands to be a positive € 100 million in 2008, or around € 6 per person. For the first research note: http://piracy.americanassembly.org/wp-content/uploads/2010/12/Piracy-and-Jobs-in-Europe-a-note-on-the-BASCAP-TERA-study.pdf .